Enjoy spectacular views from this stunning, architecturally SKI IN/OUT designed home! Combine Little Sundance Retreat to sleep up to 14! With its impressive wall of windows & large sunny deck with hot tub, you and your guests can relax in style and feel like you are on top of the world. Every bedroom has a mountain view. 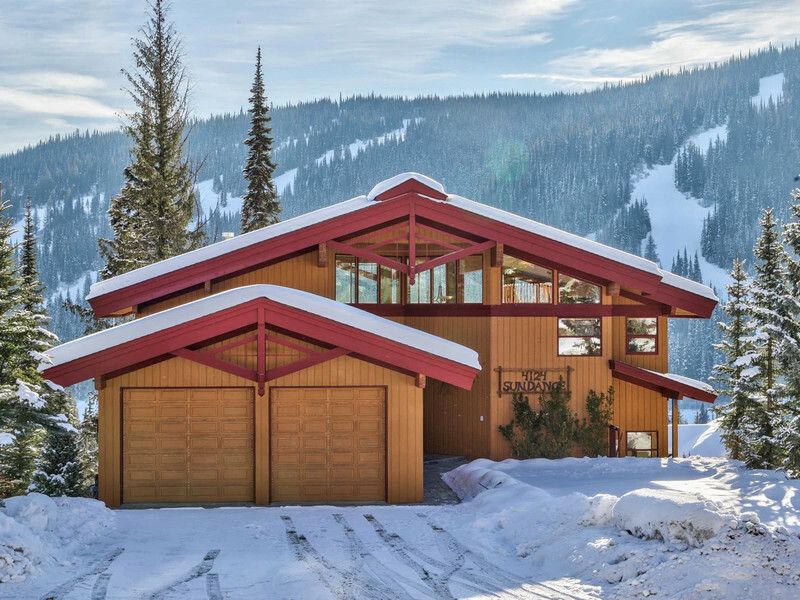 Located in Sundance Estates, one of Sun Peaks Resorts best ski-in/ski-out locations and an area of luxury homes, this mountain retreat has been quality built with solid fir finishing, gourmet kitchen with a built in wine fridge, sauna, and spacious master ensuite. High quality furnishing throughout. Come experience a relaxing stay in this well-appointed mountain getaway. 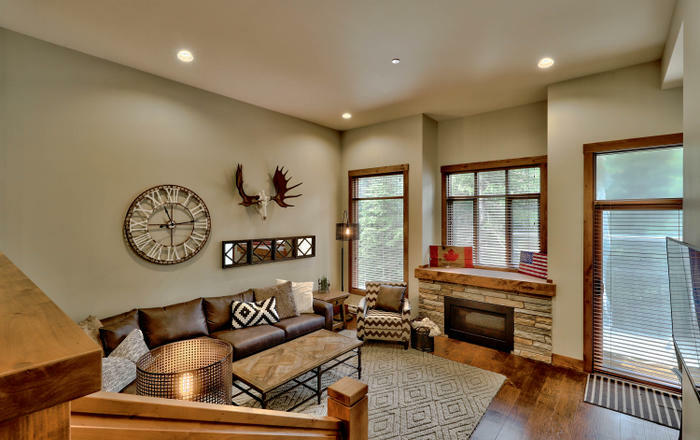 Enjoy Sundance Retreat's unique interior design. The upper main living space comprises the kitchen, dining, and living areas, as well as an office with treadmill. The views are second to none! All of the main home's bedrooms are on the next floor down as is the family room and main bathroom (with sauna!). 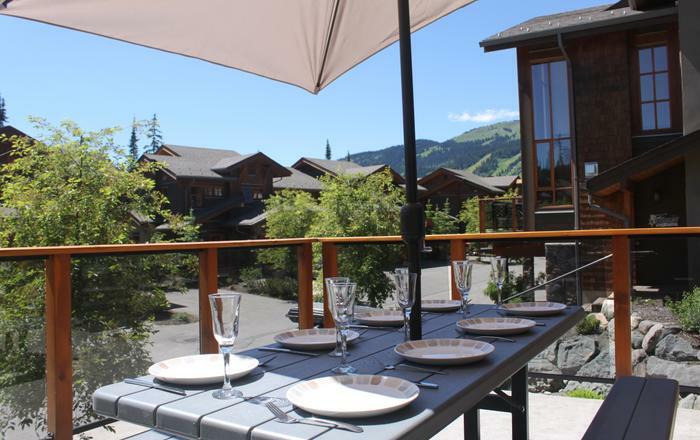 Sleep up to 14 Guests by also reserving Little Sundance Retreat. 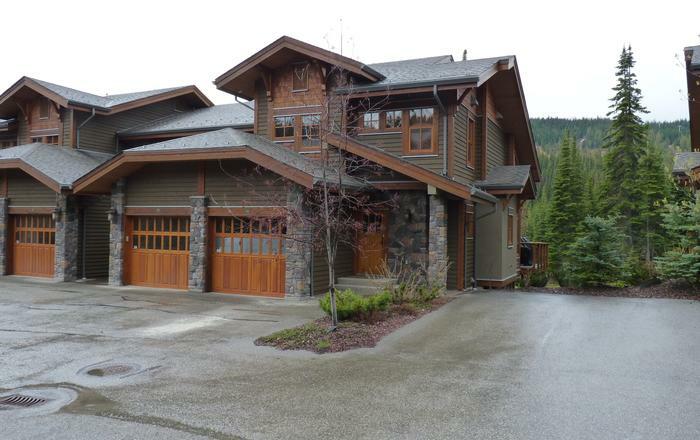 Master Bedroom - Large and comfortable with great views of Mount Morrisey. Private ensuite and walk-in closet. Large flat-screen TV. Two night tables and reading lamps. Den – Comfortable sectional sofa with pull-out queen hide-a-bed, sleeps 2. Den has large flat screen TV and Wii. Bathroom 1 - Main bathroom. 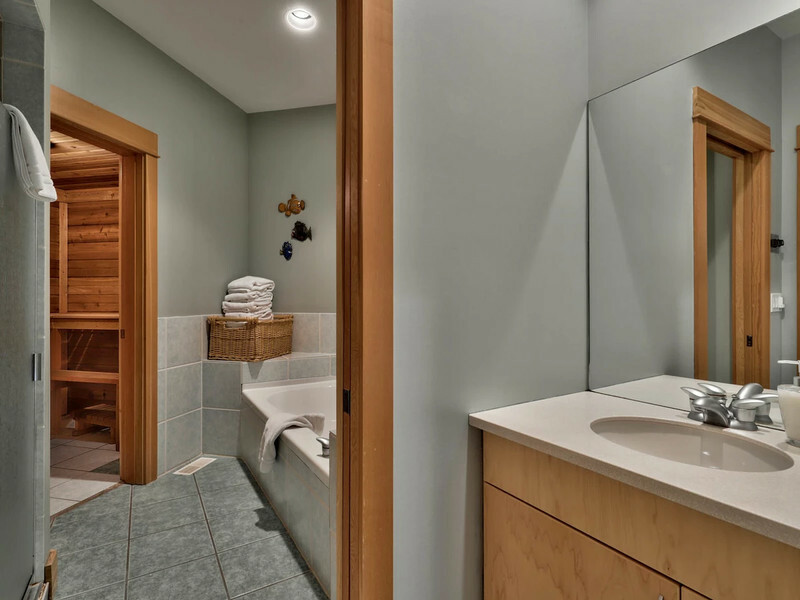 Soak in the large tub, or use the walk-in shower. Adjacent cedar lined dry sauna is perfect for soothing those weary muscles apres ski !Quality bath linens, soap, shampoo and hair dryer. Bathroom 2 - The master ensuite. Unique, deep and relaxing soaker tub. Large walk-in shower. Double vanity sinks. Hairdryer, soaps and shampoo. 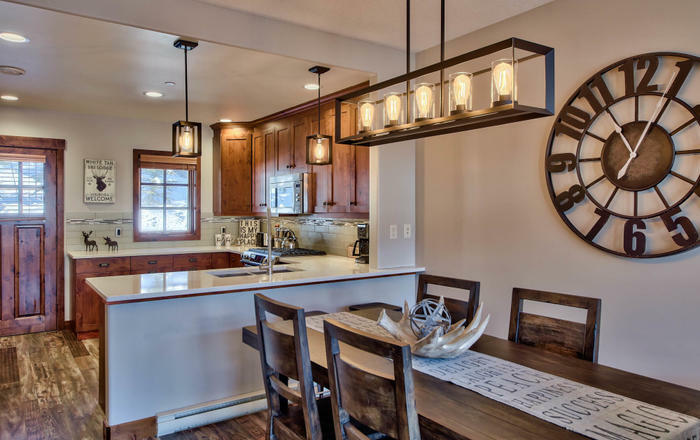 Spacious high-end designer kitchen with high ceilings, tall windows, and great views of the mountains and ski runs. Stainless steel appliances. Lots of counter space. The wine fridge will help keep those bottles cold! Large kitchen island with seating for five people. Open to dining and living areas for easy flow. This kitchen is a chef's dream! Kitchen amenities include: Blender, Coffee Maker, Cooking/Eating Utensils, Crock Pot, Dishwasher, Fridge, Glassware, Kettle, Microwave Oven, Gas stove, Toaster, Wine Rack, Wine fridge. The living room continues the open concept main floor. Enjoy the warmth and ambience of the gas fireplace. A large flat screen TV is located above the fireplace. The PS3 video console will play video games as well as Blu-Ray or regular format DVDs. There is more than enough room for your family to gather around the fireplace as the living room has two sofas and two armchairs. The unique wall of towering windows provide stunning mountain views. Two glass doors off dining area and living room allows for easy access to deck with barbeque and hot tub. This chalet definitely has the WOW factor! Open to kitchen and living area. Dining table seats ten people. The main floor kitchen island has seating for five. Easy access to the large deck with barbeque and hot tub. The den, located on the "bedroom floor" , has a large flat-screen TV with full cable, a Wii video game console with family friendly games, a DVD player, an assortment of movies. The comfy sectional sofa has a queen pull-out bed. The Den is the perfect spot for the kids to hang-out while the parents are upstairs enjoying a glass of wine after a long day on the slopes! Enjoy the warmth of the sunshine and the light of the moon and stars through the wall of south facing windows located on the top floor. Lofted/Cathedral Ceilings - Excellent use of wood beams & high ceilings. Views - Wall of windows located on the first floor living area. Fantastic views from living area and bedrooms. Views of Mount Morrisey, Sunrise ski run and the village below. Cable television in the living room, master bedroom and family nook. 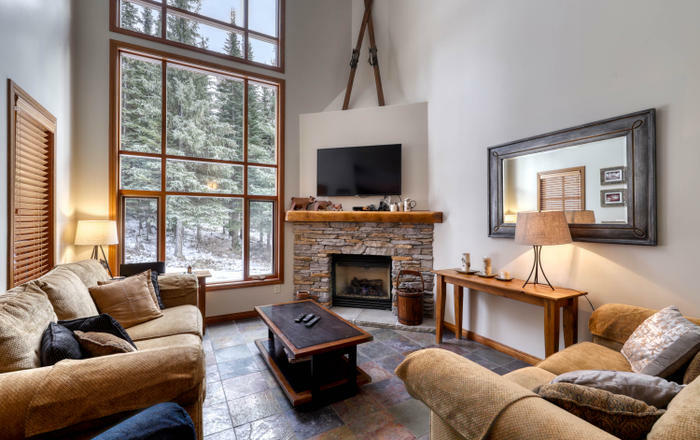 There is cable television in the living room of lower suite Little Sundance Retreat is booked separately). Dining Area - Main house has seating for ten and the lower suite (booked separately) has seating for six people. DVD Library - There are an assorted library of DVD movies available but guests are encouraged to bring their own. DVD Player - There are DVD players available to our guests. Fireplace - Gas fireplace is located in main house. Hairdryer - Located in bathrooms. Hot Tub – Private, with views out to the mountains and valley below. Iron and Ironing Board - Located in the laundry room of main house. A large washer and dryer are located in the laundry room on the ground floor. Complimentary laundry soap is provided to our guests. Office Area - There are two work desks located in the office. Sauna - A dry sauna is located adjacent to the main bathroom. 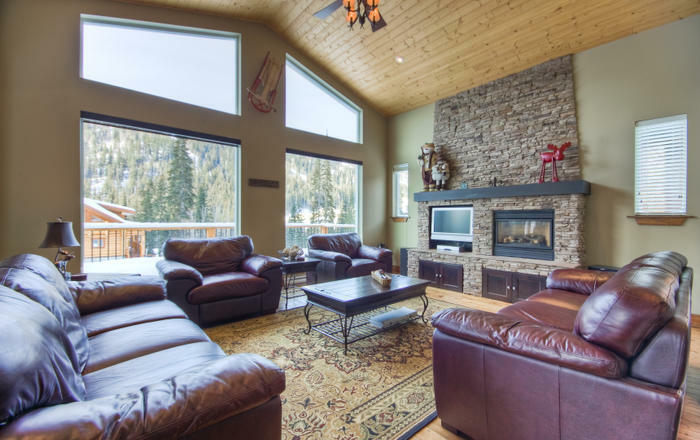 Secure Ski and Bike Storage in Private ski room. Telephone - Local calls only in the main house. Guests are encouraged to bring their cellphones. Cell coverage is available throughout house. Yard - large yard to share with main house and lower suite.